Sometimes when you have a great post player, half of the battle is just getting them the ball in a position to score. Once they’ve established that they can play, a simple post entry from the wing often isn’t enough, as the defense will begin to sag and collapse, giving them very little room to operate. 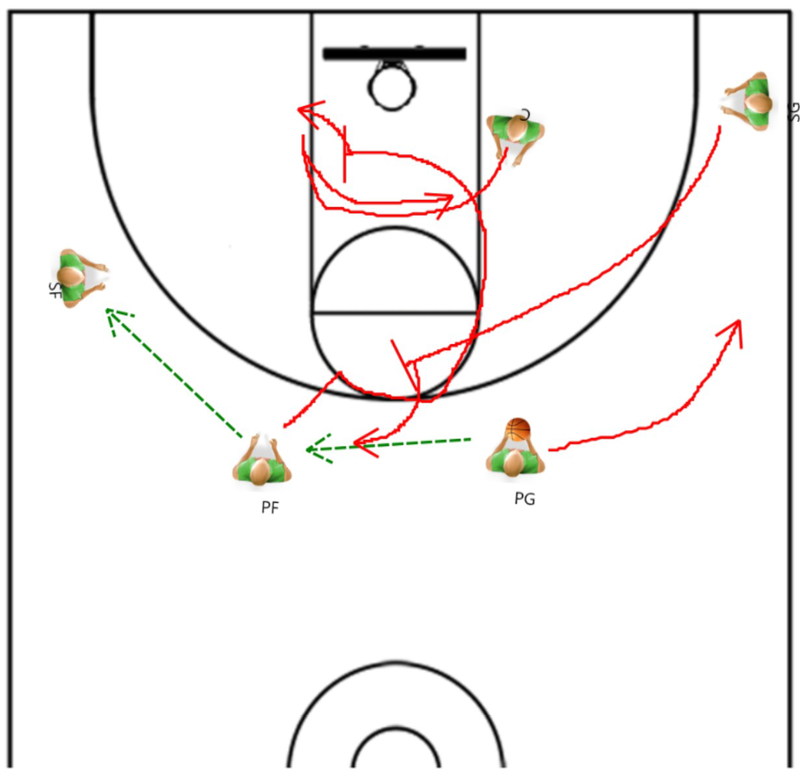 That’s why it’s nice to have some quick simple plays that will allow your big guys to get the ball on the block with some good spacing, making it much tougher for the defense to collapse in – and if they do, the passing lanes are that much wider. 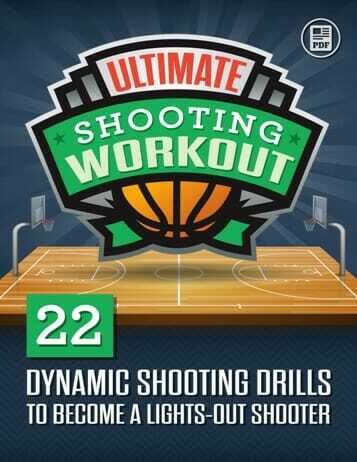 This is an awesome play, that will give you a chance to hit both of your post palyers, and slo the third option of a pop out to the three point line for your shooting guard. 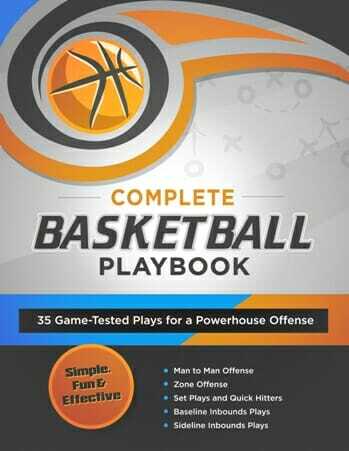 Have your players line up with the small forward on the left side, foul line extended, and the power forward up top on that same side of the floor. Your point guard will be up top on the other side, along with the5-man on the block, and the shooting guard in the corner. To initiate the play, the point guard will pass the ball to the power forward, and slide over to the wing on the weak side of the ball. At the same time, the power forward will make one more pass over to the small forward, and the 5 man will slide over to the ball side block. 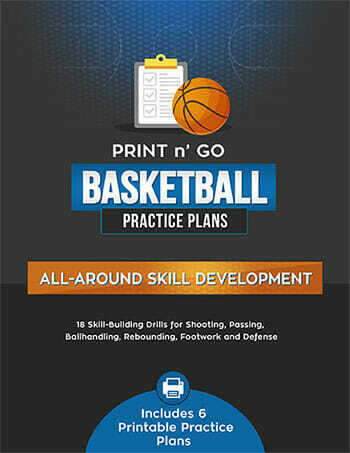 After the first pass from the point guard, the shooting guard will start to sprint up to the foul line, getting ready to set a screen for the power forward after he swings the ball. Now the power forward will use this back screen, looking for the lob from the wing if he has the athletic ability to go up there and get it. If that isn’t there, he’ll set a pick for the center, setting him up to curl around and out to the weak side. While this is happening, the shooting guard will pop out to the top, ready to hit the three if the defense leaves him open. And with all this other movement going on, the 4-man will be open on the block, ready to make a quick move and score, or find the open man on the double team. Make sure to remind your 5 man to look for the ball when he slides over, and the 3 man to look for the pass – sometimes the defense falls asleep! 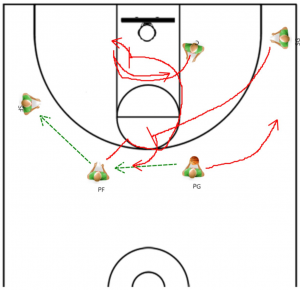 And if you’re looking for more plays to add to your arsenal, make sure to check out this article on running the triangle offense!